restaurant quality. The first thing that might come to your mind about fajita seasoning is how do I use fajita meat and avoid flour (wheat) tortillas? I made the seasoning mix. I used it immediately with chicken. I cut strips of natural antibiotic-free chicken, placed them in a bowl and covered with the seasoning mix. One pound of chicken worked great for one recipe of fajita mix. I cooked the chicken on high temperature quickly in an iron skillet with a bit of EVOO. When the chicken turned from pink to white and cooked through, I added sliced green peppers and onions. 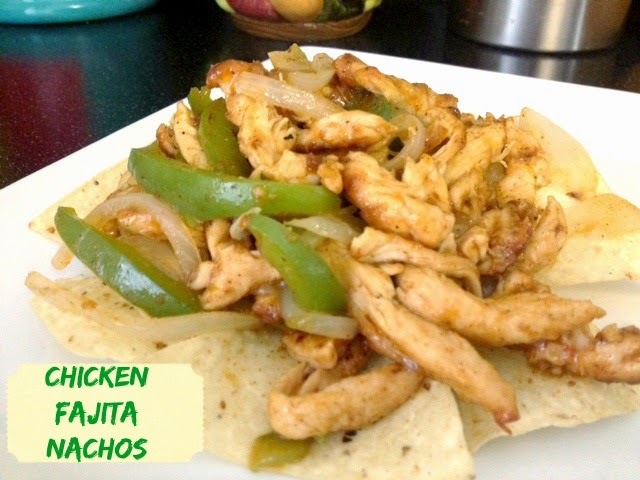 I served my Chicken Fajita mixture over my favorite gluten-free tortilla chips with Wholly Salsa. You can add your favorite Mexican fixings like guacamole, sour cream, cheese, pico or whatever you enjoy! I would prefer cheese but my husband is lactose intolerant (casein allergy again) and I'm BMI challenged, so I just omit the cheese and use a limited amount of Cantina Tostitos. This dish is quick, easy and yummy! I call it "Chicken Fajita Nachos". 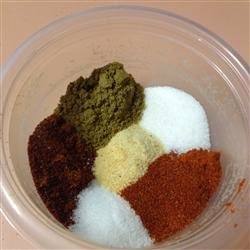 I love this recipe because it uses spices you most likely have in your spice cabinet or drawer, protein that you most likely have in your fridge or freezer and veggies you most likely have on-hand as well. Easy peasy! 15 minute tops! Do you think this looks easy? Comment with your thoughts.